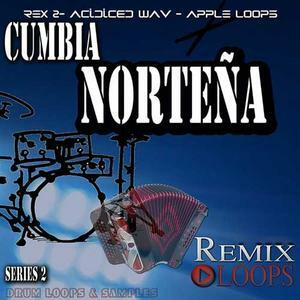 Cumbia Norteña was influenced by artist such as Pesado, Voces del Rancho, Los Tucanes de Tijuana, Intocable, and Groupo Control. Loops: This product includes live acoustic kicks, snares, hi-hats, toms, floor toms, cymbals, congas, tumbadora, cowbells, guiro and shakers. Easily Drop loops into your sampler or sequencer and instantly start producing or remixing your next Cumbia Norteña hit or remix. 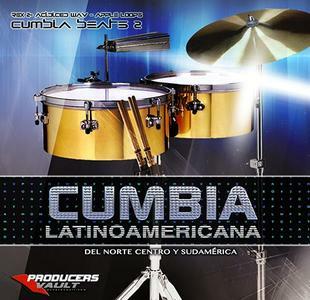 Producers Vault brings you Cumbia Beats Volumen 2 Cumbia Latino Americana which covers all the different modern fusions of this classic genre. We’ve studied the genre from the past 4 decades a came out with Cumbia Latinoamericana with grooves heard in styles from Mexico, Central America Colombia, Chile, Peru, Ecuador, Bolivia. Cumbia Norteña was influenced by artist such as Pesado, Voces del Rancho, Los Tucanes de Tijuana, Intocable, and Groupo Control.